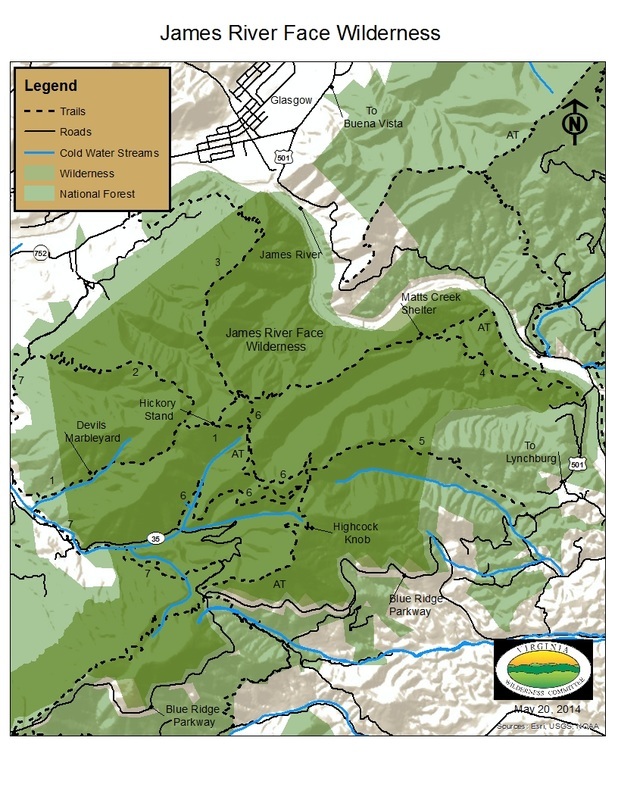 James River Face Wilderness is located in Rockbridge and Bedford Counties. 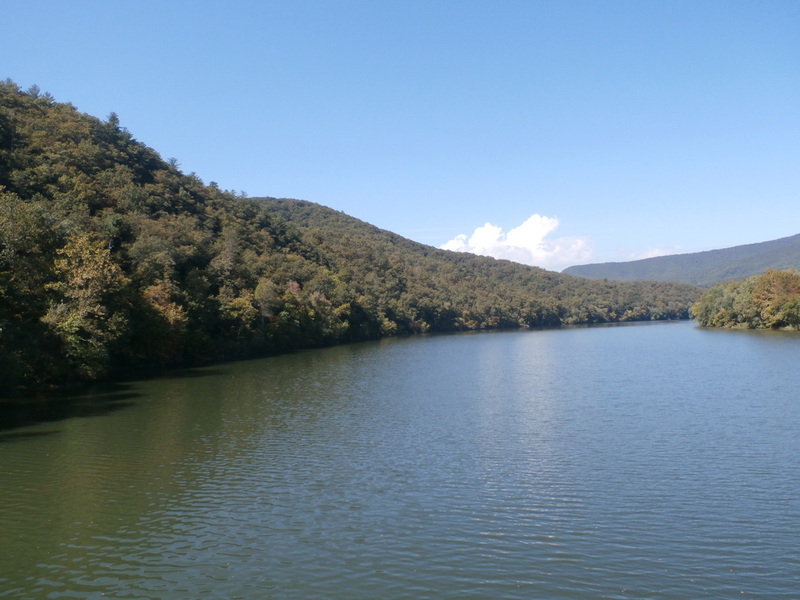 Established in 1975, this 8,907 acre Wilderness is considered the “Grandfather of Virginia’s Wilderness” because it was the first Wilderness established in the commonwealth. When combined with the nearby Thunder Ridge Wilderness, these two areas create a nearly contiguous Wilderness complex that exceeds 11,000 acres. ​The northeast potion of the wilderness is bounded by the James River. 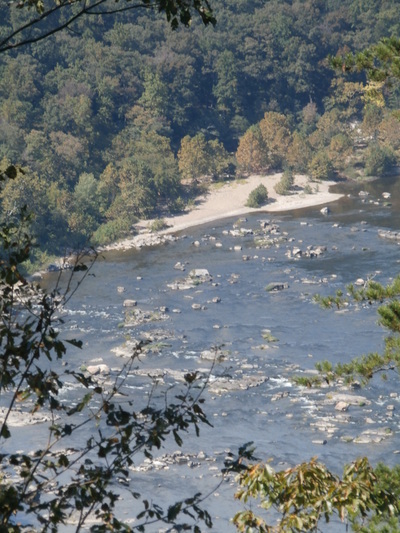 Here the James River cuts through the Blue Ridge Mountains creating a gorge that is over nine miles long with an elevation change of just over 2,400 feet, from the river (650 feet above sea level) to the summit of Highcock Knob (3,073 feet above sea level). The James River tumbles over Balcony Falls and other fast flowing rapids as it passes through the gorge. 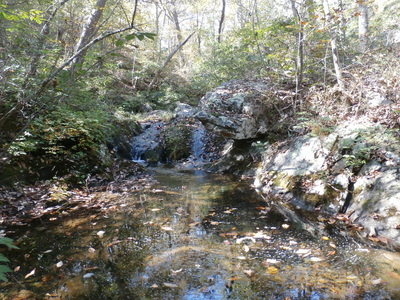 The western end of James River Face Wilderness is drained by creeks such as Sulphur Spring, Belfast Creek, Little Hellgate Creek, Hellcat Creek, and Big Cove Creek. The creeks are all tributaries of the James River. Of these both Sulphur Springs and Belfast Creek are designated cold water streams. Peter's Creek, Snow Creek, and Matt's Creek drain the eastern end of James River Face. Peter's Creek is another designated cold water stream. But no matter what the stream name, they have one common characteristic—they all descend rapidly off Highcock Knob. These drops are accentuated by many small unnamed falls. ​One such fall is adjacent to the Devil's Marbleyard. 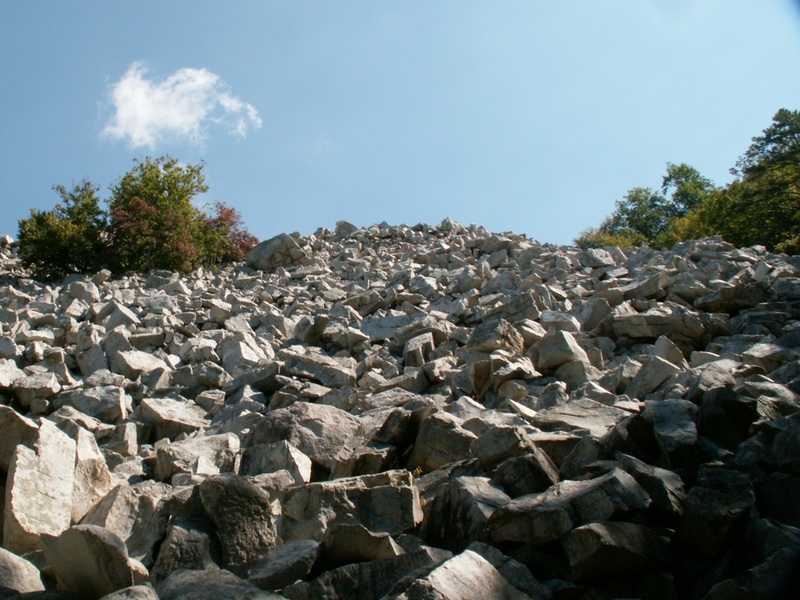 This eight-acre boulder field is a very popular hiking destination. The Marbleyard is a huge boulder field, whose boulders have sheared off the face of a small cliff near the crest of the ridge. These boulders, some the size of large cars, have tumbled pell-mell down the slope creating a boulder mosaic that is fun to scramble. Piney Ridge is a major ridge on the east side of the James River Face; while Gunter Ridge dominates the western part of the Wilderness. ​The James River Face ecosystem is comprised of stands of southern hardwoods on its lower slopes with Chestnut Oak and various types of yellow pine with an understory of Mountain Laurel and Huckleberry growing on the long ridges. Near the crest of Highcock Knob is Hickory Stand. This high knob shelters small stands of Northern Red Oak and Hickory. In sheltered coves tall White Oak, Basswood, and Tulip Poplar thrive in the canopy; while thick stands of Rhododendron thrive in the understory. There are two small stands of old growth. One is located in the watershed of Matt's Creek; the other is along the James River where the Appalachian Trail turns away from the river and enters the drainage of Matt's Creek. 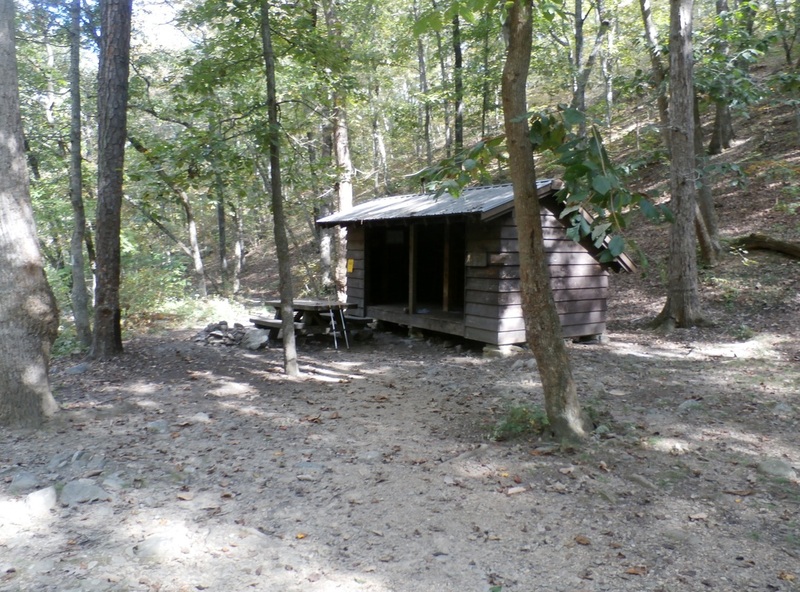 ​There are numerous trails in the James River Face Wilderness. Several of them can be combined for excellent loop hikes.